After getting rocked by several major privacy scandals, Facebook has begun taking steps to educate users about what they can do to protect themselves better. And in the coming weeks, the company will introduce one of its biggest steps yet to achieve that goal: by sending a pop-up notice to every user around the world asking them to review their privacy settings. By scrolling through the notification, users will be able to see how Facebook uses their data to target ads at them, what it’s doing with facial recognition technology, and which features they have turned on that they want to turn off. Users will also be shown the political, religious and relationship information they currently have posted to their profiles that they may have forgotten. This move comes as the result of the European Union’s General Data Protection Regulation — a strict new law to protect peoples’ data online that Facebook promised it would comply with around the world. 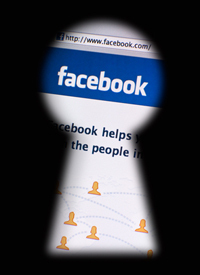 But no matter why Facebook did it, it’s a good thing that users can now more easily access their sensitive info.